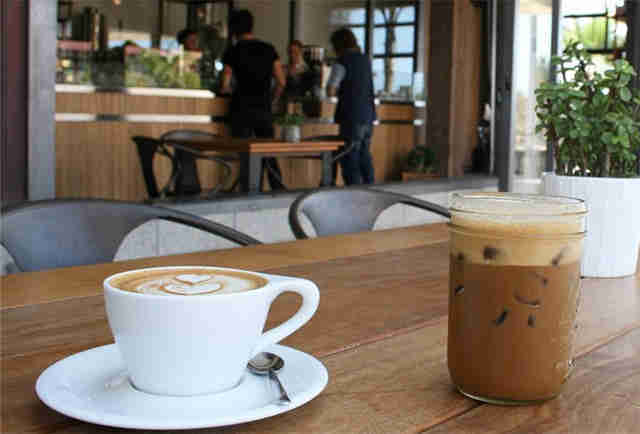 San Diego’s coffee scene has exploded in the past few years, with more new roasters and cafes than ever competing to deliver your caffeine jolt. 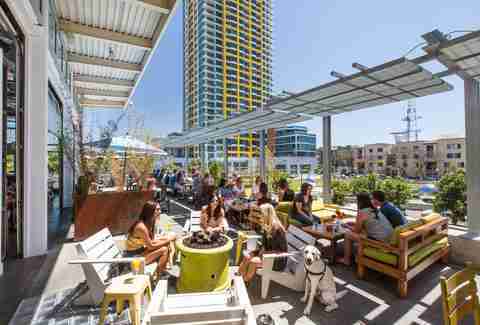 To help navigate some of the best options in the city, we’ve put together a shortlist of the best places to linger over a cup of coffee, including neighborhood favorites that have been around for ages and new additions to our ever-growing bean scene. Across from the Central Library, this cozy shop has a lot going for it, like owners who are passionate about good coffee, fresh-baked pastries, and quality beans brewed just about every way imaginable, including siphon, V60, Aeropress, and drip (in addition to espresso-based beverages). Floor-to-ceiling windows flood the industrial-chic space with natural light, which makes it a great place to refuel, get some work done, or just people watch. Comfy couches, bright yellow chairs on the sun-drenched patio, and quiet tables for two near the front door are just three of the potential seating options at this airy cafe that’s well suited for a solo study session, business lunch, or catching up with a friend or two over a caffeinated beverage. Other pluses include its location (overlooking Fault Line Park) and relatively easy street parking. The regular coffee drinks are always a good way to go, but if you want to try something more exciting, order a milkshake spiked with espresso, a specialty frappe, or an espresso martini. And the food. Our pick is the bruschetta (with prosciutto, diced heirloom tomatoes, hydroponic basil, and house-made burrata), but by all means, if another sandwich calls out to you, answer that call. 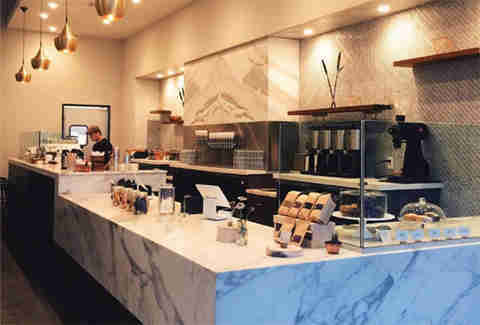 This small-batch roaster operates a trendy coffee shop in North Park with a menu of refreshing "coffee parlour cocktails" like strawberry malt mochas, espresso shakes, and five different cold brew options on nitro (including banana bread and lemon meringue) made with all-natural, house-made nut milks, malts, fruit purées, and syrups. If you need something to nosh on, the selection of sweet and savory pastries sourced from Bake Sale won’t disappoint. Securing seating can be tricky or even downright impossible. If you can’t snag a chair, take your coffee to the North Park Community Park (it’s a 10-minute walk away and has several picnic tables). 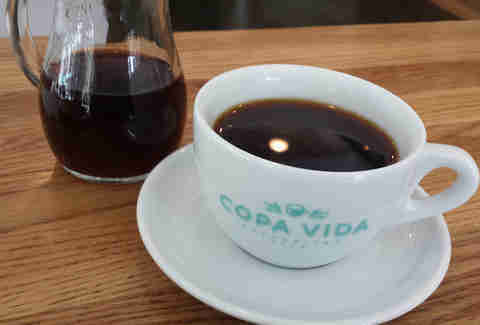 When Copa Vida opened in the East Village last year, it already had some stiff competition, but its selection of quality coffee beverages and obsessive dedication to the craft of brewing the perfect cup of coffee (or tea) secured its place in the local market. The shop’s lofty interior, spacious patio, and compact but satisfying menu starring sandwiches, salads, and breakfast items make the space hospitable enough to linger with a laptop, but if you’re in a hurry, there’s also an honor bar where you can grab a cup of drip coffee to-go. This neighborhood fixture in South Park is located in a remodeled home with a deck that wraps around most of the exterior, offering comfortable seating in the shade of several large trees that poke up through the planks. 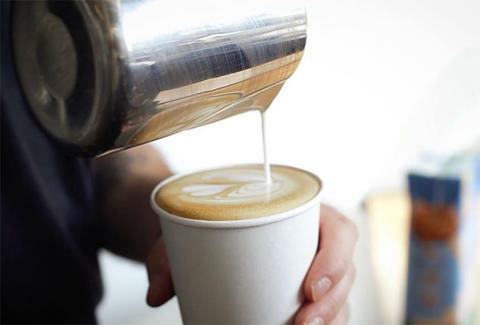 There’s all of the expected espresso-based drinks (made with locally roasted beans sourced from Caffe Calabria), plus original concoctions like the Smoky Mocha (espresso brewed with Lapsang Souchong tea leaves, steamed milk, chocolate, and spices). If you plan to hang out long enough to require some sustenance, good news: there’s a full menu with breakfast items, sandwiches, and salads, plus sweet treats like cookies, cakes, and tarts. If you have yet to experience this North County-based shop’s salted caramel latte (with real, house-made caramel, not sundae sauce), make plans to do that ASAP. All three locations have comfortable, shaded seating inside and out, but because they’re also within a few blocks of the beach, you might want to get yours in a to-go cup. The shop’s fourth location is slated to open later this fall in Little Italy at the corner of Cedar and Columbia Streets. Erin Jackson is San Diego-based food writer and photographer who loves sharing her latest finds. If you enjoy food and cat photos, by all means, follow her on Instagram.